U.S. Postal Service – Will It Be Saved? I haven’t been too active in the blogosphere lately, I’ll admit. Sorry about that everyone, I know there are people who hang on my every word and have really been wondering what’s going on and if everything is ok. Right? Well, everything is ok — thank goodness (knock on wood). There’s been a lot going on with Apple lately, with the resignation of Mr. Jobs, iPhone 5 or 4Gs rumors, Sprint, etc.. All those news items are important and have implications on the future of our iPhone, iPad, iPod, and Mac Notebook/MacBook repair company, but so does this one — The U.S. Postal Service. You see, for our iPod and iPhone repair customers, we offer a USPS shipping option? Why do we do that? Well there’s a few reasons. 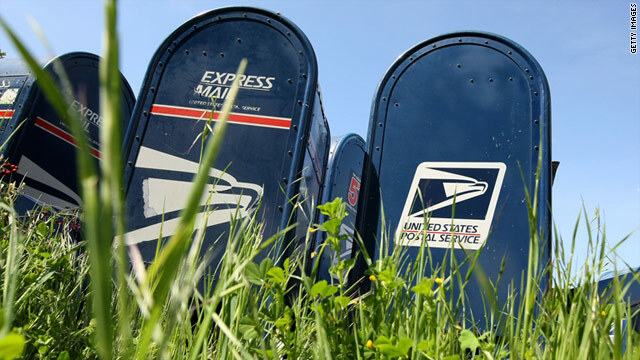 ——We can charge $3 less than UPS ground by using USPS first class mail. During this down economy, many customers are looking to save every penny they can and this is just another option for them. ——USPS recently (within the last few months) updated their tracking system. Now you get an average of 4-7 scans per shipment instead of just the “in transit” and the “delivered” scans. Before this happened, an item could be shipped and the shipper or receiver would have no idea where it was and when it would be delivered. Now, every time it moves it is recorded and listed on the tracking page. A necessary update, if you ask me, and now we are confident enough in their service to use them for shipping. ——They are fully insured, just like our UPS shipments. This was a little trickier to pull off but we put in the work and got it done so our customers can reap the rewards. ——They deliver on Saturday… at no extra charge! Now I know some of you are excited about that! There’s more pros and cons, and I could probably go on and on about this all day, but those are the main reasons we decided to give them a shot. So far it’s been great! Of course, we heard the news this week that the USPS might be shut down sometime in the future because they’re low on money. There are wide range of articles about how this would be catastrophic if it happened, how it shouldn’t be allowed to happen, and how we would survive in a world without the USPS. I do think it would make a huge impact on our lives if it didn’t exist. What would the junk mail distributors do? OK that’s it for now, everyone have a great weekend and thanks for sending us all the repairs! This entry was posted on Thursday, September 8th, 2011 at 12:25 pm	and is filed under Author Posts, ipad repair, iphone repair, iPod Repair, Kansas City Happenings, macbook repair. You can follow any responses to this entry through the RSS 2.0 feed. You can skip to the end and leave a response. Pinging is currently not allowed.